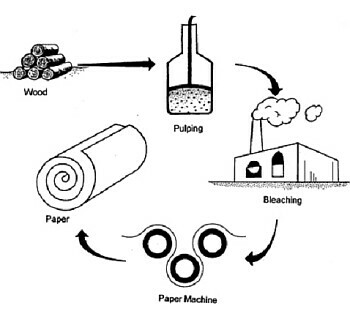 PAPER is a thin and flat material, which is produced by the compression of fibers derived from the pulp. Fibers used are usually natural, and contains cellulose and hemicellulose. 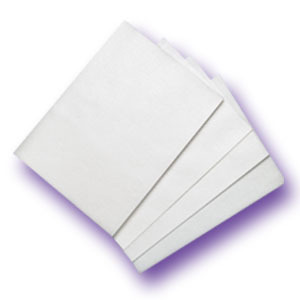 The paper is known as the primary medium for writing, printing and painting and use the other that can be done with such paper cleaning paper (tissues) used for food, hygiene or toilet. The existence of the paper is a new revolution in the world who donate stationery to write great significance in world civilization. Before you found the paper, the nations first use of baked clay tablets. This can be seen from the Sumerian civilization, Inscription of stone, wood, leather, bamboo or animal bones, silk, palm leaves strung together even as his script is found in the archipelago centuries ago. Ancient Egyptian Civilization donated the papyrus as a medium of writing. The use of papyrus as a writing medium is used in the civilization of ancient Egypt during the dynasty of Pharaoh, and spread over the Middle East until the Romans in the Mediterranean Sea and spread across Europe, although the use of papyrus still felt very expensive. From the word papyrus (papyrus), which is known as an English newspaper, papier in Dutch, German, French or papel example in Spanish, which means the paper. Recorded in the history of Chinese civilization, which contributed to the World of paper. Tsai Lun found paper made from bamboo are easily available all over China in the year 101 AD. This discovery eventually spread to Japan and Korea as the spread of the nations of China to the east and the development of civilization in this region, although at first a way of making paper and its size is very confidential. In the end, paper-making techniques in the hands of the Arabs in the Abbasid period, especially after the defeat of the Tang Dynasty forces in the Battle of Talas River in 751 AD in which the prisoners of war teaches how to make paper Arabs so dizaman Abbasids, emerging industrial centers paper both in Baghdad and Samarkand and other industrial cities, then spread to Italy and India and Europe, especially after the Crusades and the fall of Grenada from the Moors into the hands of Spain and to the world. In 1799, a Frenchman named Nicholas Louis Robert found the process to make sheets of paper in the moving wire screen, with the repair tool is now known as Fourdrinier machines. The discovery engine cylinder by John Dickinson in 1809, has led to increasing use Fourdrinier machine in the manufacture of paper-thin paper. 1826, cylinder steam for the first time used in drying and in 1927 the United States began using a Fourdrinier machine. The increase in production by the machine Fourdrinier and cylinder machines has led to increased demand for raw materials used in fabric that is more and more reduced. In 1814, Friedrich Gottlob Keller discovered a mechanical pulping process of wood, but the resulting low-quality paper. Around the year 1853-1854, Charles Watts and Hugh Burgess develop papermaking using soda process. In 1857, an American chemist named Benjamin Chew Gaga get a British Patent for sulphite process. Pulp produced from the sulfite process is nice and ready bleached. Kraft process resulting from the experimental basis by Carl Dahl in 1884 in Danzig. This process is commonly called sulphate process, because of Na2SO4 is used as the chemical make-up for the rest of the cooking solution. - Chabelita.